When someone asks us what books made us cry (and let's not lie, there are quite a few) the first one that always pops in our heads is Malorie Blackman's Noughts and Crosses. If you haven't read them yet, you really should, it is an amazing book series! 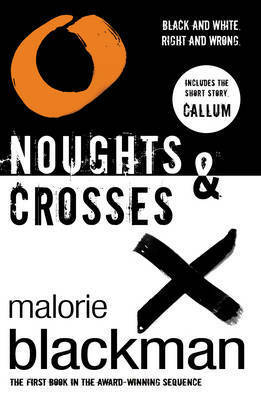 For those of you who have read them... ahhhhhh the ending of Noughts and Crosses!!!!! THAT is when we were properly sobbing and saying WHY??! WHY IS THIS HAPPENING??! Not gonna say what happens... but OMYGOSH!!!! “Just remember, Callum when you’re floating up and up in your bubble, that bubbles have a habit of bursting. The higher you climb, the further you have to fall." “Dear God, please let him have heard me. Please. The two have been friends since early childhood. But that’s as far as it can go.